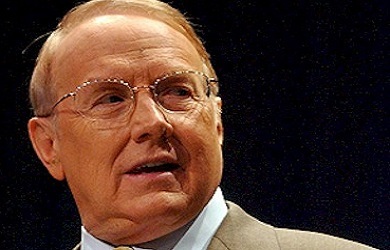 If you want to get a sense of the extent to which the Religious Right is locked in a seemingly fruitless but entirely co-dependent relationship with the Republican Party, just take a listen to James Dobson’s radio program this week. For the next three days, Dobson is airing a speech he delivered back in February 1998 (presumably at the Council for National Policy meeting) laying out the Religious Right’s abandonment issues and experience of repeatedly being abandoned by the GOP. James Dobson (from 1998 speech): In 1995, I was looking for a politician, a Republican leader who had a chance to win the White House who understood what I’d been saying, who understood that moral foundation to the universe, who was willing to articulate it and willing to fight for it. And I decided that Phil Gramm just might be that man. I heard him on TV, I liked what he said, I thought maybe he might be the one that we could get excited about, and so I asked for an appointment to see him and he agreed to see me. And I flew to Washington DC from Colorado Springs and with me that day were Gary Bauer, Ralph Reed, and Betsy DeVos. We went in an sat down and I had this on my heart, something I really want to say. And he starts by telling us that he only has forty minutes, he has to go to something, and he begins talking – and he talked, and he talked, and he talked for thirty minutes and we just got ten minutes left and he’s still talking. And I said “Senator, you will never reach our people.” And we got up and left. And Senator Gramm was out of the race in Louisiana just a few weeks later. 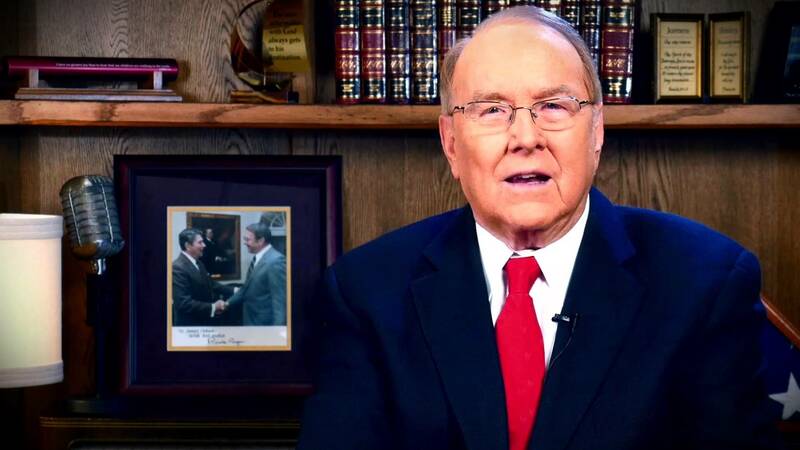 Ryan Dobson: That was my dad, Dr. James Dobson, speaking twelve years ago to a large assembly of people concerned about public plicy and, more specifically, about the failure of Republicans to fulfill their promises made to the American people back in 1994. 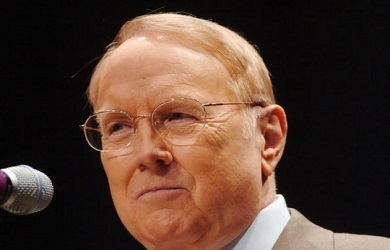 James Dobson: Well, there are times when a speaker is on fire and you ain’t heard nothing yet because you can hear where I’m going in the next two days and we will put flesh on those bones. Ryan Dobson: And, in a way, is this not a warning to the newly elected officials to not abandon their base? James Dobson: Well Ryan, that’s why we’re airing it, because this does represent something of a warning to the new Republican majority because it’s happened before. They’ve been there before. In 1994, they suddenly found themselves in the majority. No one predicted it and there they were and they did it by promising some things to the American people. And immediately set out to abandon them and that is what we’re going to be talking about in the next two days. Ryan Dobson: They immediately started talking about bipartisanship, reaching across the aisle, building bridges. To be honest, I never elect somebody to be bipartisan – I elect somebody to be conservative. I do not elect anybody to reach across an aisle – I elect them to be conservative. 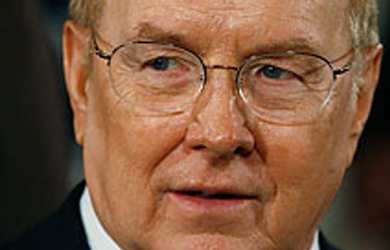 James Dobson: And you expect them to tell the truth about what their values are. And we have not seen anything yet that would indicate the Republicans are about the lie to us, so this is pre-emptive, but that’s where we’re going because this is history repeating itself. So, to hear the Dobson’s explain it, the real problem with Newt Gingrich and the Republican radicals who took over Congress in 1994 was that they were too committed to “bipartisanship” and “reaching across the aisle” and that is why they eventually lost their majorities. I would also just like to point out that we have had three presidental elections since Dobson delivered this speech … and in each one Dobson has supported the Republican candidate despite his deep disappointment with the party and even after vowing repeatedly that never to support John McCain. So you have to wonder just what kind of “pre-emptive” warning Dobson thinks he is sending to the GOP this time around considering that he’s been sending this very same warning to them for more than a decade and yet, inevitably, when it comes time to cast his vote, Dobson swallows his pride, falls in line, and throws his support to the Republicans.